If your wee budget buddy is giving you trouble, there are ways to correct that unacceptable behavior. The Moto E may be from the wrong side of the tracks, but that doesn’t mean you should tolerate bad manners. We’ve got some workarounds and solutions to get your smartphone back to its best with the minimum of fuss. This is how you deal with common Moto E problems. A lot of Moto E owners have run into a bug where the sound completely stops coming out of the speaker, or it comes out incorrectly. Audio continues to work correctly through headphones. Test the volume buttons and the onscreen controls. Check the settings in the Moto Assist app to make sure it hasn’t activated silent mode. It’s possible that something is in the headphone port, and the Moto E thinks you have headphones in. Try cleaning the headphone port out carefully. Try wiping the cache partition first because that seems to have worked for some people. Turn the Moto E off, and then press and hold Volume up, Volume down, and the Power key. You should see boot options. Use Volume down to highlight Recovery and Volume up to select it. You’ll see the Motorola logo and then the Android in distress. Press and hold Volume down and tap Volume up. You should get blue text options and you can use Volume down to highlight wipe cache partition and then Power to select it. Press Power to reboot when prompted, and test to see if the problem is resolved. If you’re still having the problem, then there’s a good chance an app is to blame. Try booting into safe mode. Press the Power key and then touch and hold Power off and tap OK when Reboot to safe mode pops up. If the speaker now works, then the problem is being caused by a third-party app and you have the option of factory resetting and installing selectively or uninstalling apps one by one to try and find the culprit. There has been some suggestion that the SD card could be causing this problem. It’s easy to test. If you’re using an SD card remove it and see if the speaker starts working again. It could also be a loose connection. You could try gently pressing around the top portion of your phone to see if the speaker comes to life. Some people also report success after slapping it, but be careful not to slap it too hard. A few Moto E owners have had problems with rapid battery drain, particularly after updating Android. Go to Settings > Battery and turn Battery saver on. Take a look at what is guzzling all your juice in the chart at Settings > Battery. If there’s an obvious culprit, then consider uninstalling it. The shortcut to find your problem app is to factory reset. Now selectively reinstall each app, testing after each new one to see where the problem is. Check out our tips for saving smartphone battery life. It could be the calibration. Try letting the Moto E run out of battery completely, and then plug it in and leave it charging until it hits 100 percent. Unplug it, but don’t use it. After half an hour plug it back into the charger again. When it’s fully charged unplug it, and the battery should be recalibrated. 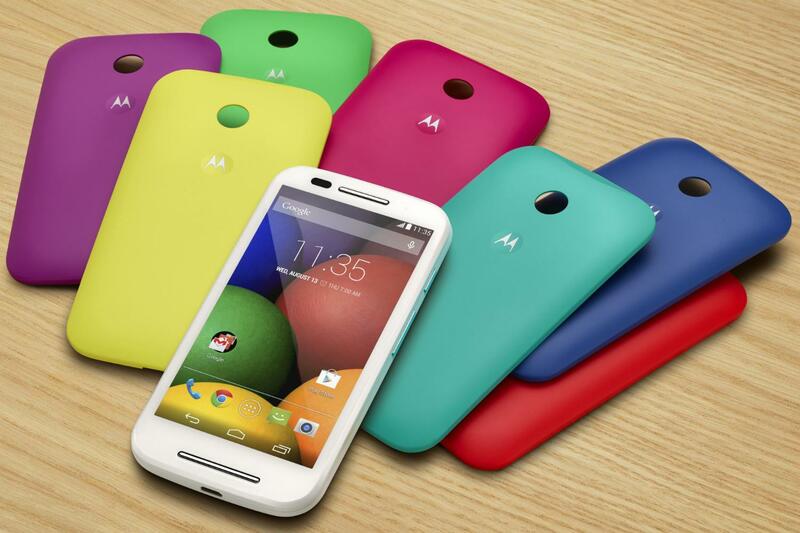 An awful lot of Moto E owners have complained that the back cover on the smartphone is loose. It might shake and rattle a bit or maybe it slides when you move the phone. You shouldn’t have to put up with this on a new phone. Contact Motorola, your retailer, or your carrier, and they should be prepared to send you a replacement back cover for free. This has alleviated the problem for some people. If you do a get replacement cover, then make sure you open it the correct way to avoid any future damage. If you get a replacement back cover and it still feels loose, then you can always try a makeshift repair for yourself. We’ve seen a couple of different methods online. Some people stick a small piece of tape or paper to the inside of the cover, others have tried putting a tiny bit of superglue into the openings on the back cover where it clips to the phone and letting it dry before putting it back on for a tighter fit. Many people have been complaining about the quality of the photos that the Moto E captures. It does have a 5-megapixel camera, but there is no auto-focus, no flash, and no front-facing camera on the phone. Forget about taking close-ups or low light photos because they are never going to turn out well with this camera. There’s no easy way to get round the fixed focus. If you’re really determined to get a decent close-up shot of something, then you could try using a magnifying glass. It’s an unusal workaround, but it actually seems to work. You can see the results at Android Buzzed. The HDR mode will be set to Auto by default, try changing it to On and you should get more pleasing results with better colors. 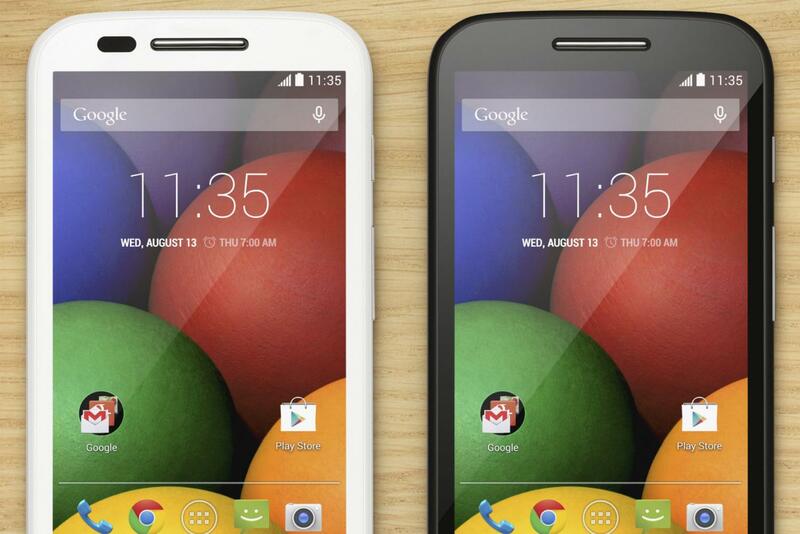 There are a number of reports of dead or stuck pixels have cropped up from new Moto E owners. This is going to look like an unresponsive black dot on the screen. Try downloading and running the free Dead Pixel Detect and Fix app. You may need to run it for a few hours, but there’s a chance that it will solve your problem. Your other option is to contact your retailer, carrier, or Motorola and ask about a replacement. If you can clearly see the dead pixel/s then you are entitled to a replacement handset.